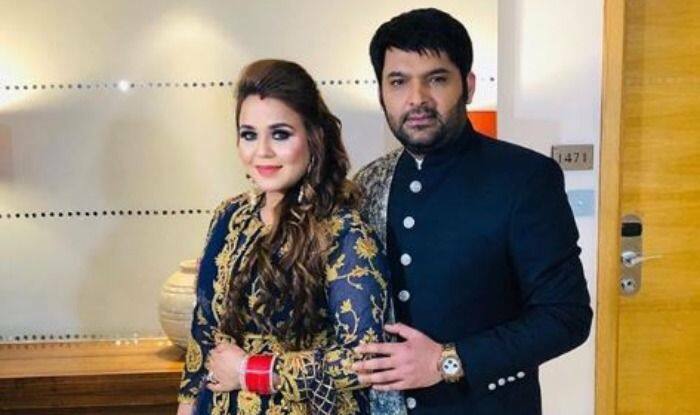 Kapil Sharma and Ginni Chatrath tied the knot last year in December in Amritsar. Post their marriage, they hosted two receptions, one in Amritsar for their relatives and the other in Mumbai for their industry friends. The newlyweds hosted another one today in Delhi. Kapil has been sharing his wedding celebration pictures on his Instagram. Earlier today, the comedian took to his Instagram to share a jaw-dropping picture of himself and his gorgeous wife from their today’s Delhi reception. He captioned it, “Celebrations are unstoppable.. need ur blessings #love #blessings #family #friends #delhi #reception #celebrations #gratitude @ginnichatrath”. Kapil is enjoying both his professional and personal life. Recently, his colleague Krushna Abhishek went all praise for the ace comedian and said, “It’s always so much fun when we perform. Kapil really love u n happy seeing ur hard work on stage back stage n so much of positivity on set looking forward for every shoot“.